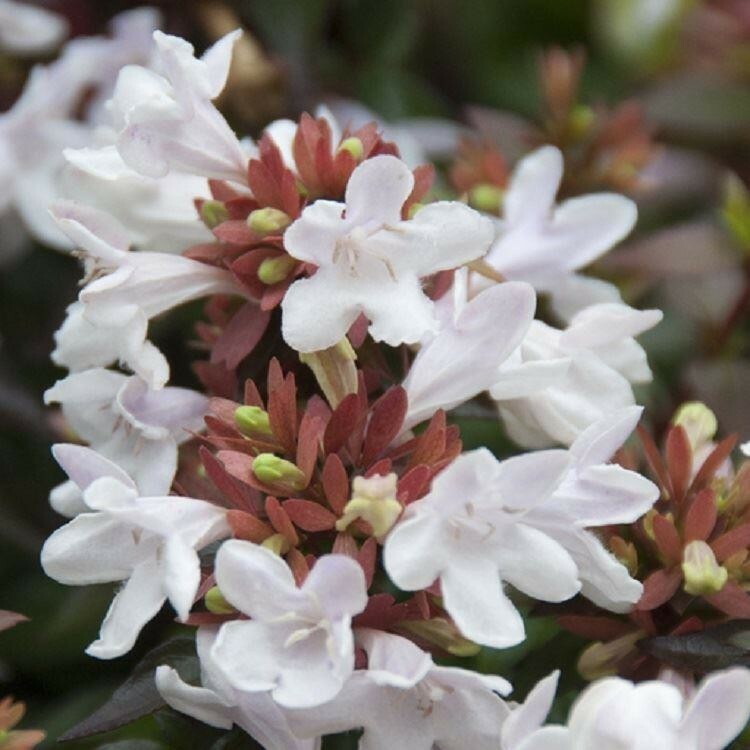 A useful, rounded, semi-evergreen shrub that has a graceful arching habit and long-flowering, making it a lovely feature in sunny, well drained borders. 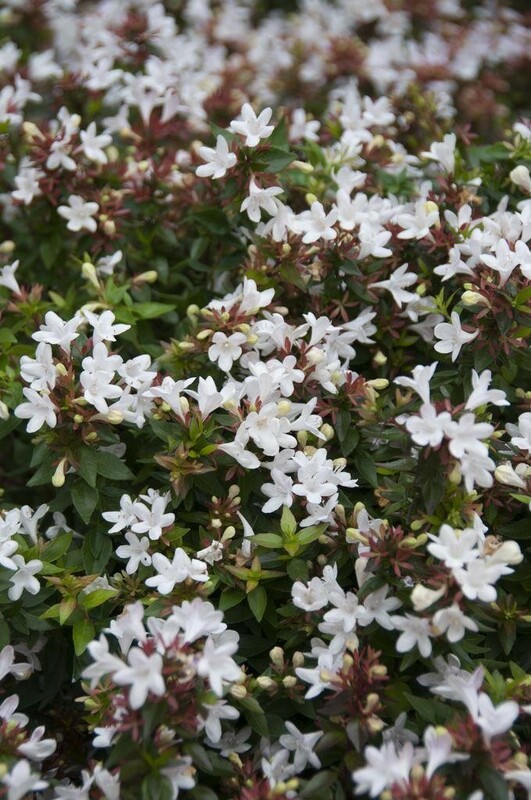 This semi-evergreen shrub abelia has blooms from July to October, and holds the leaves almost all year. In summer, it produces masses of lilac-pink, fragrant, trumpet-like flowers on arching branches that go on all summer, these are complimented by a delicate honey fragrance. 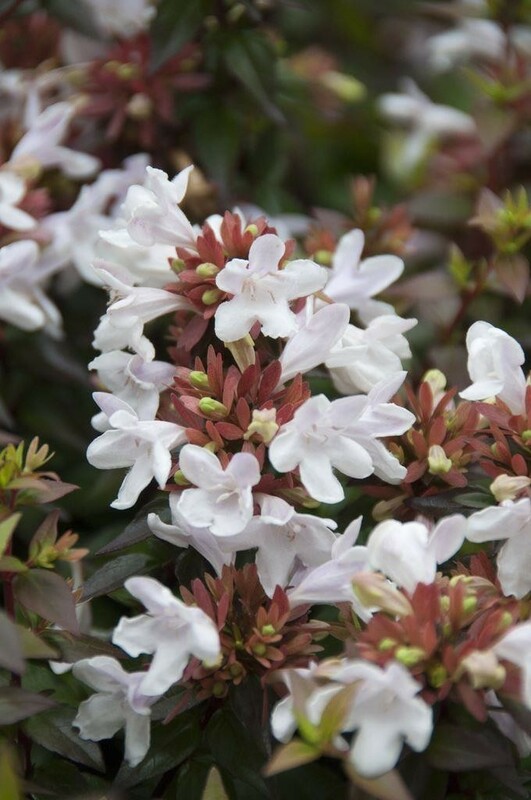 Bright green foliage in summer, gives way to muted shades of bronze with the onset of autumn, giving Abelia Edward Goucher a further level of interest. Ideal towards the back of a border, or grown against a garden wall, it is Ideal for a small, or cottage-style gardens. Supplied in approx 2-3 litre containers.